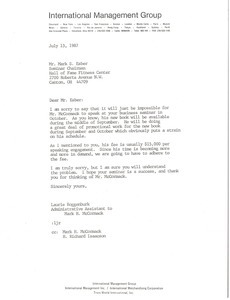 Roggenburk explains that it will not be possible for McCormack to speak at the business seminar. 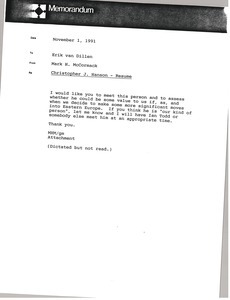 McCormack sends a letter and resume from Christopher J. Hanson. 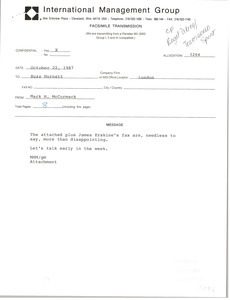 McCormack faxes correspondence regarding Royal Viking Line, Trans World Tapes, and Trans World Sports. 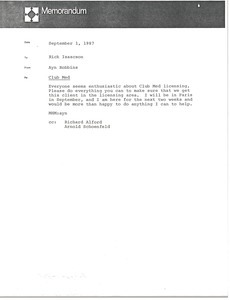 Robbins sends information on the Rojas-Lombardi Restaurant at The Ballroom, a tapas restaurant and entertainment venue in New York City. 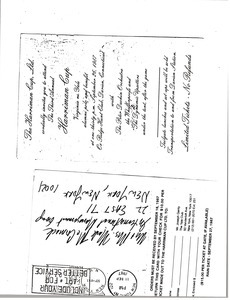 Photocopy of an invitation to the Harriman Cup. 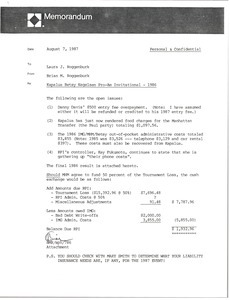 Discussing the costs and open issues of the Kapalua Betsy Nagelseon Pro-Am Invitational for 1986. 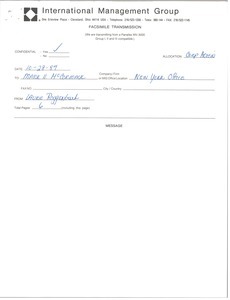 Notes the results of operation and the preliminary operating budget. 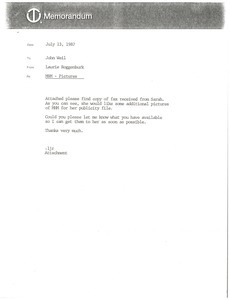 Roggenburk forwards a fax from Sarah Wooldridge who requests additional pictures of McCormack for her publicity file. 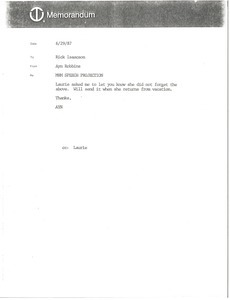 Noting that Laurie did not forget about McCormack's speech projections. 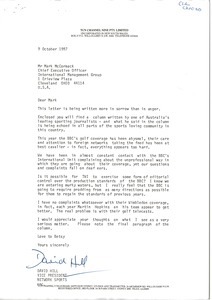 Concerning the attached materials regarding Australian Open Tennis, notes from a meeting with Christopher Skase, a letter from Ian Gow about John Barrett's contribution to the Swan Premium Tennis, and the British Open and Wimbledon programs.